Reintroduction of Fish and Wildlife Populations provides a practical step-by-step guide to successfully planning, implementing, and evaluating the reestablishment of animal populations in former habitats or their introduction in new environments. 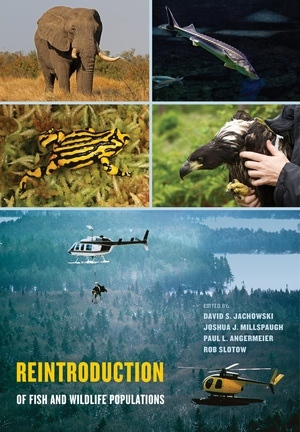 In each chapter, experts in reintroduction biology outline a comprehensive synthesis of core concepts, issues, techniques, and perspectives. 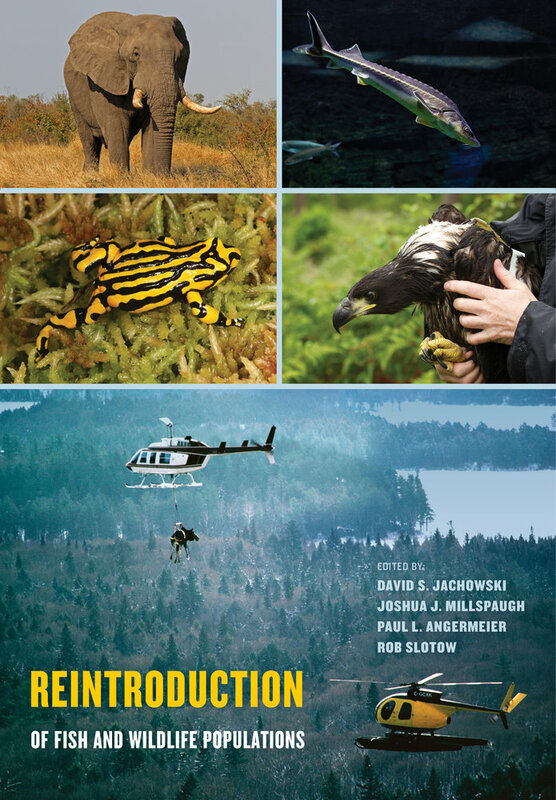 This manual and reference supports scientists and managers from fisheries and wildlife professions as they plan reintroductions, initiate releases of individuals, and manage restored populations over time. Covering a broad range of taxonomic groups, ecosystems, and global regions, this edited volume is an essential guide for academics, students, and professionals in natural resource management. David S. Jachowski is Assistant Professor of Wildlife Ecology at Clemson University and author of Wild Again: The Struggle to Save the Black-Footed Ferret (UC Press). His scientific work focuses on using a combination of field monitoring, laboratory techniques, and statistical methods to assist in the conservation and restoration of wildlife populations. Joshua J. Millspaugh is the Boone and Crockett Professor of Wildlife Conservation at the University of Montana in Missoula. His other books include Radio-Tracking and Animal Populations, Models for Planning Wildlife Conservation in Large Landscapes, Design and Analysis of Long-Term Ecological Monitoring Studies, and Wildlife Demography. Paul L. Angermeier is a U.S. Geological Survey scientist and Professor in the Virginia Cooperative Fish and Wildlife Research Unit, stationed at Virginia Tech. His research includes topics in ecology and conservation of freshwater fishes, and ecosystem services provided by watersheds. Rob Slotow is Professor at the University of KwaZulu-Natal. He has been instrumental in groundbreaking reintroductions of large mammals. His work focuses on strategies for the management of ecologically and economically important large mammals such as lion, elephant, and rhino, as well as on processes influencing biodiversity and conservation management. Part 1 • What Are Reintroductions and When Are They Appropriate?